How Much Should You Offer a Seller for Their Home? | Your local real estate experts. 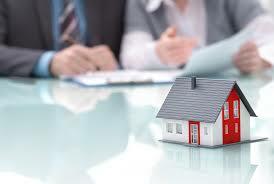 First, you look at recent sales of similar properties to come up with a price range. Then, you analyze additional data, such as the condition of the home, improvements made to the property, current market conditions, and the circumstances of the seller. This will help you settle on a price you think would be fair to pay for the home. Finally, depending on your negotiating style, you adjust your “fair” price and come up with what you want to put in your offer. Accessing the data is another matter, at least for the general public. Realtors can generally look up this information through title companies or in the real estate record section at the Tax Assessor’s Office. One problem with the public record is that it tends to run at least 6-8 weeks behind. Add another 4-6 weeks for the typical escrow period and you can see why the data is not current. The most current information is the most valuable. Most of the public is aware that the Multiple Listing Service is a private resource where Realtors list properties available for sale. Recently, the public has been able to access some of that information on such sites as Realtor.com, MSN HomeAdvisor, zillow.com and others. Neither is the information available in the Multiple Listing Service. 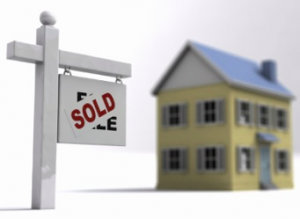 Once a property is sold, it becomes a “pending sale”. 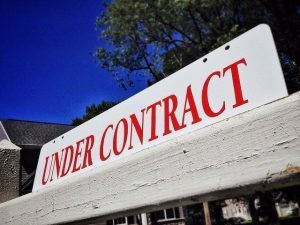 Prices are not posted until it becomes a “closed sale.” This protects the seller in case the transaction falls apart and the property is placed back on the market. It would give an unfair advantage to future potential buyers if they already knew what price the seller had been willing to accept in the past. The missing ingredient will be information on the condition of the homes from your comparable sales list. Provided you chose the right agent to represent you, they will have actually visited many of those homes and be able to provide key insights. Even when comparing exact model matches within a tract of homes, you should note whether the previous owners have made any substantial improvements. Cosmetic changes should be largely ignored, but major improvements should be taken into account. Most important would be room additions, especially bedrooms and bathrooms. Other items, like expensive floor tile or swimming pools should be taken into account, but with a discount. For example, a pool that costs $20,000 to install does not normally add $20,000 in value to the home. Rely on your agent to give you guidance in this area. A slow market is a “buyer’s market. During a buyer’s market properties may languish on the market for some time and offers may be few and far between. Prices may even decline temporarily. Such a market would allow you to be more flexible in offering a lower price for the home. Even if your offered price is too low, the seller is likely to make some sort of counter-offer and you can begin negotiations. Truthfully, it is rather rare that a seller’s motivation will dramatically affect the price of a home, but it is often possible to save a few thousand dollars. The most common “motivated seller” is someone who has already bought his or her NextHome or is relocating to a new area. They will be under the gun to sell the home quickly or face the prospect of making two mortgage payments at the same time. Since that can drain a bank account quickly, most sellers want to avoid such a situation and may be willing to give up a few thousand dollars to avoid the possibility. However, there are times when a seller is truly distressed, willing to make a quick sale and sacrifice thousands of dollars. With the seller’s permission, the listing agent can share or post this information along with the listing in the Multiple Listing Service. They may also inform other agents during office and association marketing sessions or by flyers sent to other real estate offices. Provided this information has been made generally available to Realtors, your agent should know when a seller is truly motivated and when it is just “puff” designed to generate interest in a property.